More otome visual novels from Aksys Games. 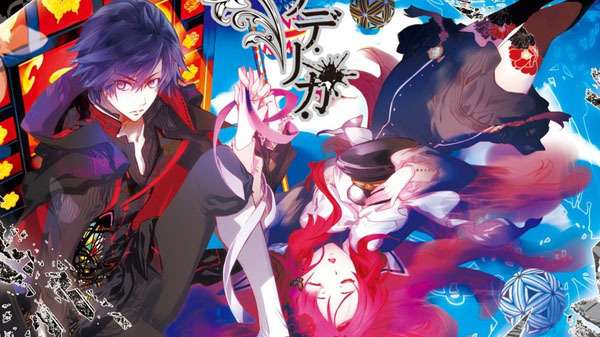 Idea Factory otome visual novels Psychedelica of the Black Butterfly and Psychedelica of the Ashen Hawk are coming to PS Vita in North America in 2018, Aksys Games announced at Anime Expo 2017. As she fell deeper and deeper into the darkness, she could hear the sound of rainfall. Also, she heard an animalistic cry. When she woke up, the young girl found herself in a Western-style mansion. An unknown, terrible monster rushes to attack the confused girl. Having lost pretty much all of her memories, she eventually met and joined up with some men in the same circumstances as her. They all held weapons that were strange handguns. From there on out, with their lives at stake, they must participate in the “Black Butterfly Hunt”, and collect “Kaleidoscope Shards” possessed by those monsters. Inside the Western-style mansion in which despair and betrayal swirls, will they be able to find hope in their futures? Watch a pair of off-screen trailers below.